All those nine months of morning sickness, unusual cravings, and not being to see your toes have finally paid off. The little darling that made all of those possible is wrapped in your hands. There is no greater joy than having a child of your own and creating a family. 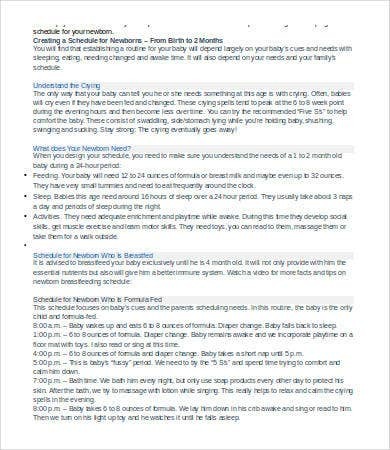 For new parents or not, having a newborn baby requires a lot of scheduling, since they have specific and special needs. They need to have a time schedule on when to be fed and when to bathe. Organizing these and be on top of things is hard work, but we are here for you. 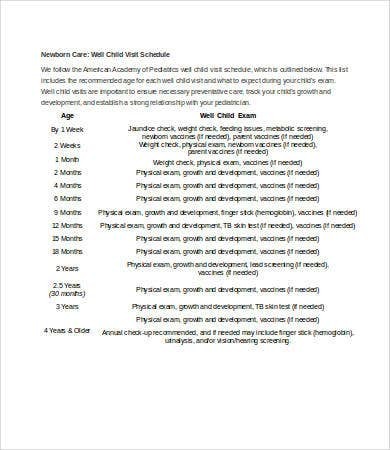 Here we have provided some newborn schedule templates that you can use everyday and be the top dog on catering your baby’s needs. You have prepared so much in the arrival of this cute little angel. You have the room painted in proper colors, hung child-friendly artworks on the wall, and the crib is angled perfectly to highlight the room. All is in order. 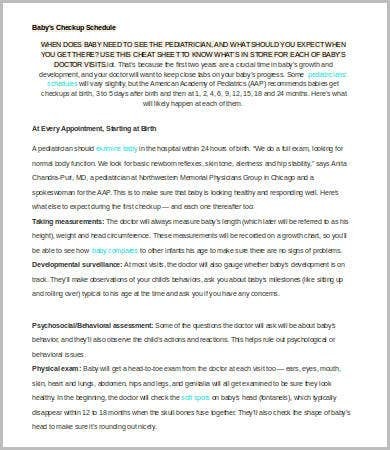 To add to this top-shelf order are some templates that can guide you in becoming the best parent ever. Feeding. 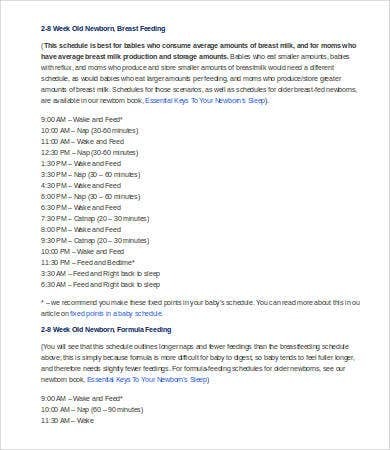 Scheduling feeding time for your newborn is important so that proper preparation is done and the infant will also have a schedule on when he or she is full or is hungry. Sleep. Scheduling their sleeping pattern is also right. 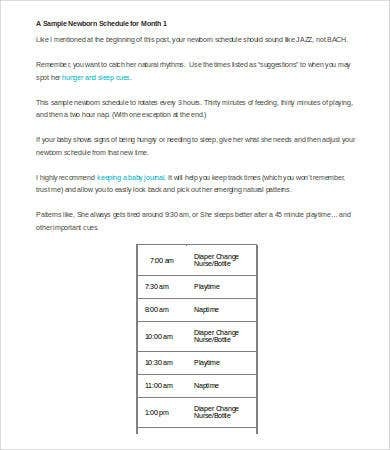 This gives the baby a routine in when he or she should be sleepy or not. Vaccinations. Being newborn is the perfect time in a child’s life to start with vaccination so that they will be protected against common known diseases. 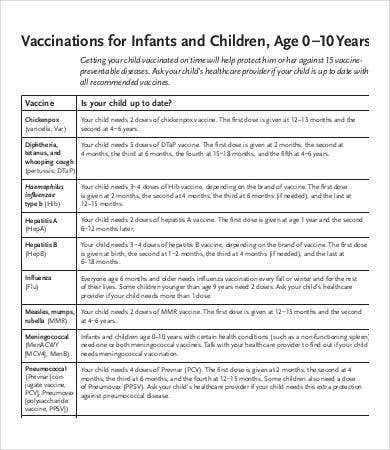 Vaccinations comes in different scheduling dates and according to the baby’s age. 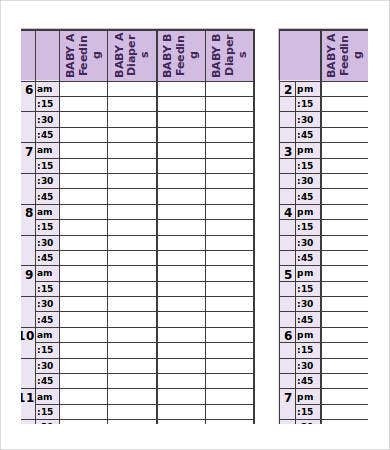 Keeping a schedule on when the baby is required to have a particular vaccination is efficient and you can be sure you won’t miss a single shot. Now are you ready to create your own Baby Schedule with our different type of templates? Time management. Feel secured and organized because you have managed the time of the day wisely, including finishing more tasks within the day. Lessen stress. 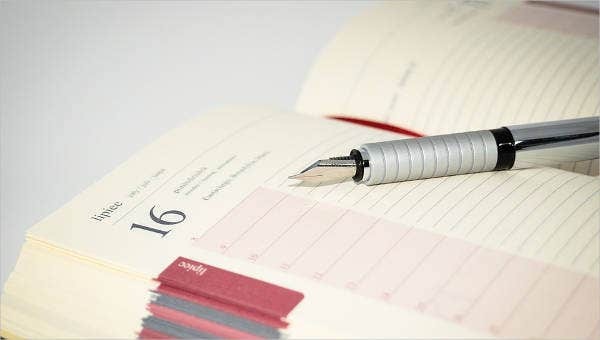 With scheduling, you may have some time for you to relax after sleepless nights because the day has been thought out well. Preparation. 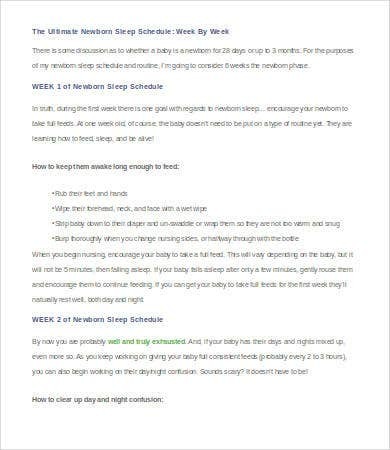 Since newborns have gotten to know and used to routines, like their Baby Feeding Schedule, it allows you to know the certain period of time when they will become hungry or sleepy. This puts you in control of things and enables you to prepare necessary things that they might need. Give back the joy the baby has given you the moment he or she comes into the world by keeping them happy by treating them properly. And with our free and easy-to-understand templates, you can be in control and be prepared the next time your baby cries.